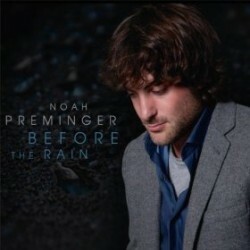 Saxophonist Noah Preminger’s new CD is Before The Rain (Palmetto, 2011). In this interview, Preminger talks about his musical upbringing; why he spend a lot of time planning the order of the songs in a performance; and the important of being respectful. Learn more at www.noahpreminger.com. Tracks used in this episode: Where or When; Quickening; Before The Rain; Abreaction; Until The Real Thing Comes Along; Jamie.